Gardens form a connecting link between man and nature. The seasons bring on changes in the garden as in one’s life and the relationship with it deepens as the years go by. It is often our means of refuge in difficult times: our space for recreation, relaxation and contemplation. 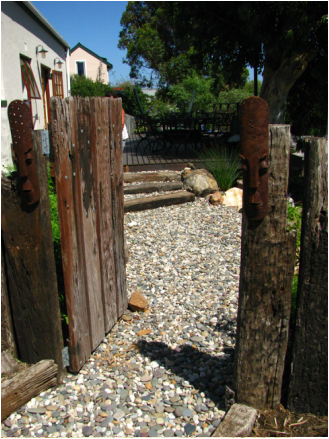 Holistic Landscaping is concerned with the relationship between art, science, nature and inner fulfillment. Art has the function of uplifting spirits, expanding vision and invigorating lives. This is achieved with garden design, often involving the use of features such as sculptures or rocks. Scientific (botanical and ecological) knowledge is essential for the attraction of wild life. 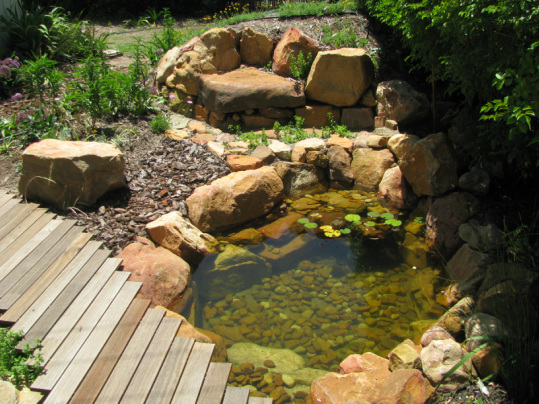 The specialized use of indigenous and endemic plants creates hardy, low maintenance and waterwise gardens. 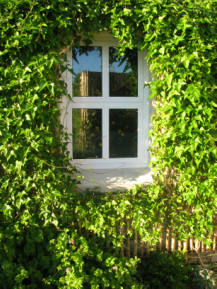 We employ various methods to create gardens that provide inner fulfillment. By enhancing what there is and by working with challenges and conscious and subconscious desires, the owner is supported in having a "whole"-istic experience in his/her garden with sounds, smells, touch, taste (we love incorporating food gardens utilizing Permaculture and Biodynamic Agricultural principals where possible) added to the visual delight and a feeling of space, freedom, balance and harmony. Is your garden a sanctuary?
" My tiny garden was transformed by the magical vision of Mark & Annwen. Mark installed latte roofing over the outdoor seating area providing both shade and privacy. Trellising fixed to the walls is slowly becoming home for winding granadilla and jasmine creepers. Once the infrastructure was in place, Annwen moved in with a fabulous selection of indigenous plants combined with some leafy vegetables and herbs, creating a patch of paradise for birds and bees and a visual feast for me! Their practical, heart centered approach to greening my space made the project a delight."